Each day builds upon anther so that at the end of Thirty Days you will have a greater understanding of the elements of the Bible. For someone who is new to the Bible it gives you a great foundation that you will come to relay on as you continue to study. 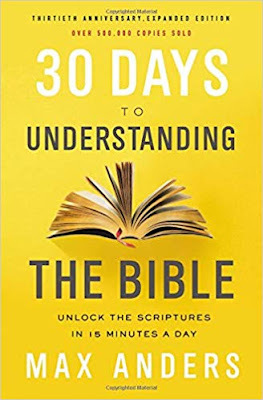 This book is laid out well for a thorough review and it will help you to remember what you've read with activities and fill in the blanks at the end of each chapter. The information is very high level but it is a good summary of the information presented.